Gosale ghira means Ridge gourd skin.This is a popular GSB dish which is prepared in most of the GSB homes with little variations in the recipe.The inner tender flesh of the vegetable is used to prepare upkari(stir fry) or curry.It is said that the its juice is very good for jaundice,overall a very healthy vegetable. 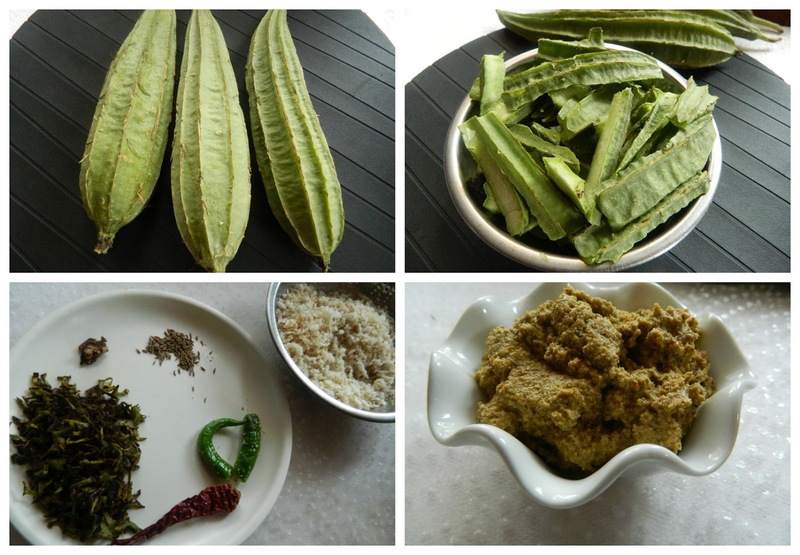 Ridge gourd is also known as Turai in Hindi and Heerekayi in Kannada. 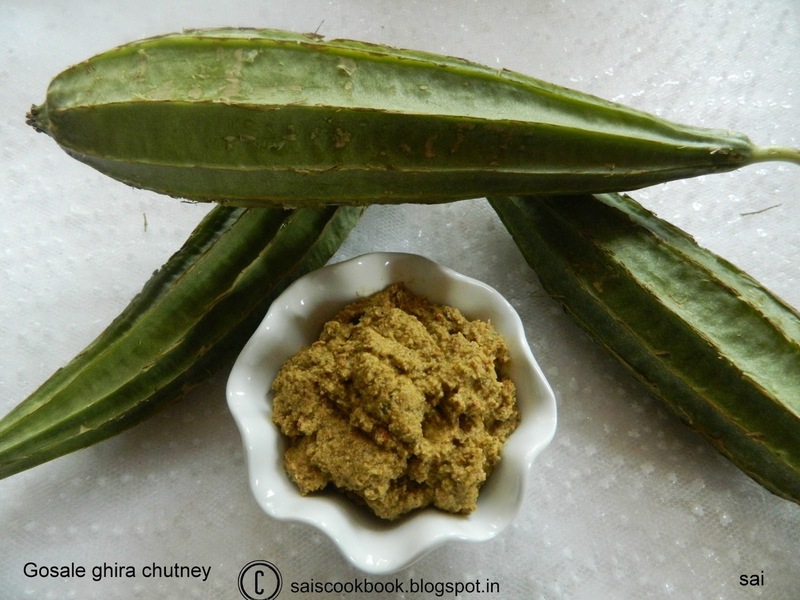 Chop the ridge gourd skin into small pieces and fry it in ghee until brown in colour. Dry roast the grated coconut until light brown in colour(optional). Grind all the ingredients using 1 tbsp water at a time into a fine paste. 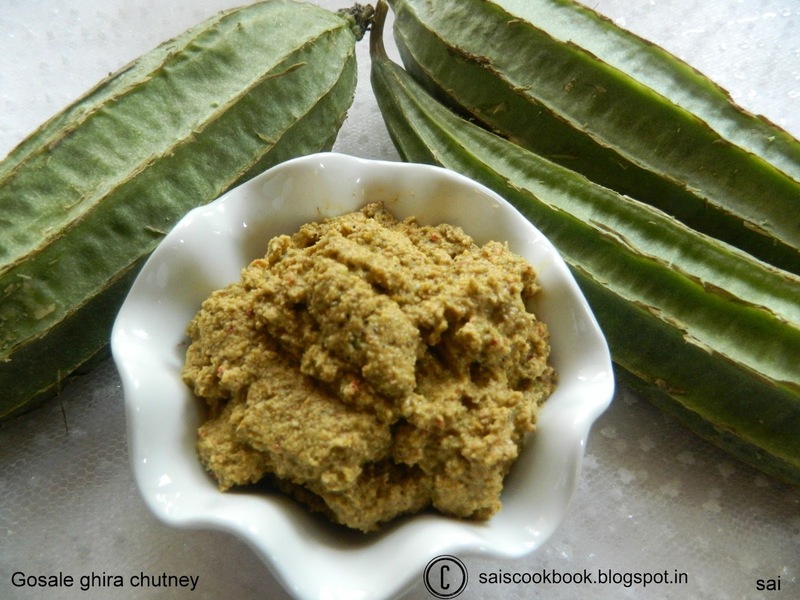 Best served as an accompaniment with the main course along with the other gravies or with chapati and dosa. If coconut is dry roasted it stays atleast for a day. Wet chutneys always have short life,so refrigeration is important or you may keep the bowl of chutney in a wide bowl filled with water until use. Next: How to proof yeast?